The best way to fight a case of toenail fungus is to begin applying a nail fungus treatment as soon as you detect the infection. The longer you wait to start treatment, the more time it give the dermatophytes (fungal agents that cause nail fungus) to dig in, multiply and spread. However, a person needs to understand what the primary symptoms of nail fungus are in order to detect the infection in its earliest stages. So, the remainder of this post is a list of common symptoms that indicate the presence of a nail fungus infection. – Often the first sign of a toenail fungus infection is when a nail begins to change to an unnatural color. In the earliest stages of infection, the nail looks largely healthy still but will often develop smallish white or yellow dots in a random-looking pattern underneath the nail bed. These are easy to see unless you are inspecting your nails rather closely. – Another form of discoloration is the more common black or dark brown spot in one of the corners of the nail. Once the nail has turned this darker color, the nail fungus infection is definitely present. Usually this spot will be of some odd shape and located right in one of the corners of a nail where it comes into contact with the skin. – White superficial onychomycosis is another type nail fungus infection but this is much more rare than the two above. With superficial onychomycosis, the nail will turn completely white or at least very cloudy instead of yellow or brown and the surface of the infected nail will become soft, powdery and dry. – A final early stage symptom of nail fungus is when the nails begin to disfigure by turning wavy. Rather than a strong straight nail, the nail will develop small ridges and the firmness of the nail will be weaker than your other nails. This too is sometimes hard to detect and if the waves in the nail are prominent and deep, the infection has already set in and requires treatment. Those are the primary early stage symptoms for nail fungus. Other symptoms like thickness, brittleness or full discoloration take place when the infection is fully entrenched. Our best advice is to regularly examine your nails so that you are not completely in the dark. Applying a nail fungus treatment as soon as you detect the presence of the infection will absolutely lessen the treatment time and the severity of your nail fungus case. This entry was posted on Wednesday, April 10th, 2013 at 10:39 pm and is filed under Good Nail Care Habits, Nail Fungus Symptoms, Onychomycosis, Preventing Nail Fungus. You can follow any responses to this entry through the RSS 2.0 feed. You can leave a response, or trackback from your own site. Hey, I was directed to this site from http://blog.sterishoe.com/toenail-fungus-treatments/home-remedies-for-fungus-nails-does-lysol-work/. I have a question for you – does hyperhidrosis contribute to fungus growth? Because I have been told I have it, and am worried. Thanks for any help! Hey Matt! 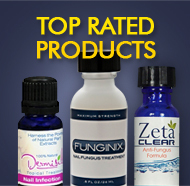 Hyperhidrosis can certainly create an environment where nail fungus infections can thrive. Dermatophytes, fungal agents, multiply and seek protection in damp, warm environments and sweating profusely can put a person at a slightly higher risk. We suggest changing socks regularly and being sure to keep you hands and feet clean and dry. Hope that helps!